Nothing can fully prepare you for what you’re about to embark on in the Black Mirror series. Comprising four seasons and a standalone film, the series reflects on society’s ever-evolving technological landscape—depicting alternate realities and the relationships within them—peppered with drama and suspense that will leave you (strangely) craving more. Black Mirror's recently released movie, Bandersnatch, breaks the fourth wall with the series' first interactive format that branches into multiple endings. The story follows a young British programmer in the 1980s as he attempts to adapt a choose-your-own-adventure novel into a video game and faces his own demons. Audiences are prompted to make their own choices to decide his actions, and his eventual fate. 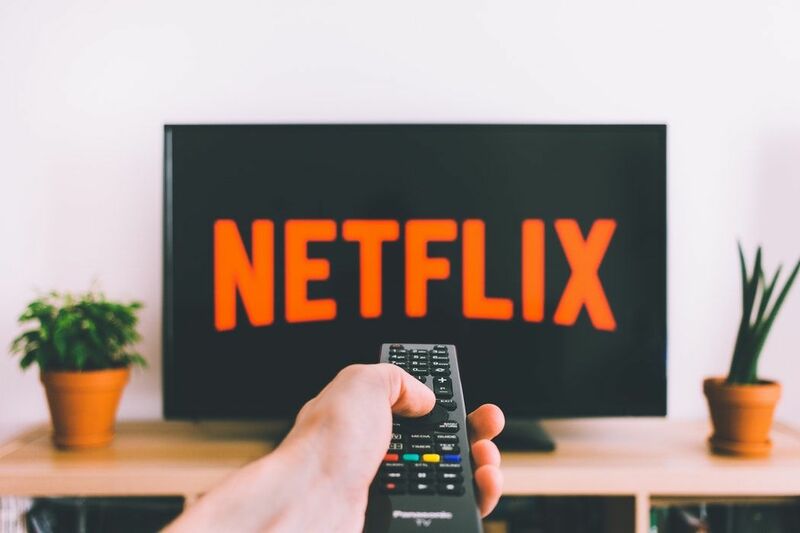 If you're looking for hours of TV-binging, however, the four-season television series offers 20 hours of dystopian fantasy as you embark on a roller coaster of emotions with each leading character… while clutching on to your Valentine. For those who wish to start on a romantic note, Hang the DJ in season four will be a comfortable entry point into the realm of Black Mirror. How far will you go to protect your loved ones in a post-apocalyptic world? Starring a stellar cast including Sandra Bullock, Trevante Rhodes and Sarah Paulson, Bird Box follows a woman who has to protect two children while escaping from supernatural forces that will drive one to death or suicide through spiralling insanity. What’s the catch then, you ask? Characters have to and survive the destitute landscape blindfolded. As the narrative traces the story of the family journeying on the river, it is interjected by sporadic flashbacks of the apocalyptic event, alongside several heart-wrenching throwback scenes with characters who, simply put, did not make it as far as they have. Brace yourselves as Netflix presents their most horrifying series to date, The Haunting of Hill House. Venturing into the lives of the Crains, this supernatural horror series takes you through paranormal experiences at Hill House, where each member of the family experiences strangely bespoke hauntings, interspersed with flashbacks of the house’s past inhabitants. Directed by Mike Flanagan who also did Oculus (2013) and Ouija: Origin of Evil (2016), you can bet on a night of crippling terror with your partner as you prepare yourselves for the ghostly encounters at Hill House. If you’re up for a night of true crime and murder, Netflix’s latest docuseries, Conversations with a Killer: The Ted Bundy Tapes, is a binge-worthy hour-long watch. But fair warning: the four-part long series is apparently so intense that Netflix has even issued a tip through their Twitter platform not to watch it alone. Thus, in the spirit of Valentine’s Day (and for your own wellbeing), it wouldn’t hurt to heed their advice and binge through this eerie new programme with your significant other. To what extremes will you go for love? American psychological thriller, You, has caught the attention of the Netflix universe with rankings skyrocketing up the charts when it was first released. Based on Caroline Kepnes’ best-selling novel, it traces the obsessive relationship between an aspiring writer, played by Elizabeth Lail, and bookstore manager played by Penn Badgley, whose character will cull everything (and everyone) who stands in his way. It will leave you debating who to root for in this chilling love story.